The ability for robots and people to work in closer proximity holds the promise of ever-more flexible production in automated manufacture. But, while identifying more cooperative human robot applications may be easy, integrating equally-simple safety solutions that protect workers without losing productivity has proved more challenging. 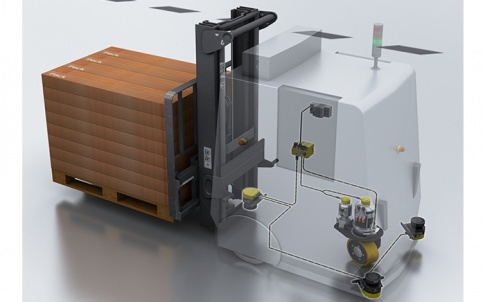 As a technology leader in machinery safety for more than 60 years, SICK has responded with a simple to implement and regulatory-compliant safety protection system, SICK Safe Robotics Area Protection, enabling unrestricted safe access to fenceless robots. SICK Safe Robotics Area Protection is a convenient and easily-integrated safety system for cooperative human robot applications that satisfies Performance Level PLd/SIL2 in accordance with EN ISO 13849-1/EN62061. The robot standards EN ISO 10218-1 and EN ISO 10218-2 state that safety-related parts of control systems should be designed so that they achieve PLd/SIL2 unless the results of the risk assessment determine otherwise. The SICK Safe Robotics Area Protection solution is ideal for both machine builders and for production teams looking to boost the productivity of their existing robots or automate new processes such as machine tending, pick and place assembly and materials loading and unloading. The unique turnkey solution integrates a SICK safety laser scanner with a SICK Flexi Soft controller to enable dynamic protection of the monitored area. The result is unrestricted access to the robot, for example to allow someone to inspect the operation of the robot or machinery, or to insert or remove workpieces. As a result of dynamic field switching, stop times are reduced and the operator’s work flow is uninterrupted. However, the worker is still fully protected against hazardous movements in proximity of the robot’s working range. Minimising stops also reduces machinery wear, leading to less maintenance and improving the total cost of ownership. 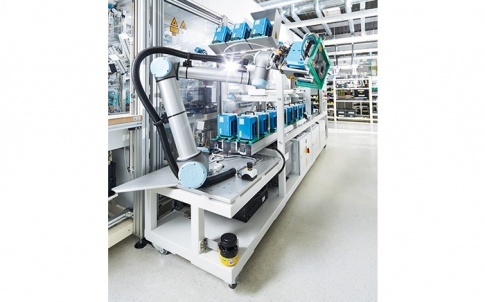 Seb Strutt, SICK UK’s Senior Product Manager for Machinery Safety said “SICK Safe Robotics Area Protection lays the foundations for industrial robots to be more productive. Comprehensively tested as a single-source solution it is ready to use in no time at all. 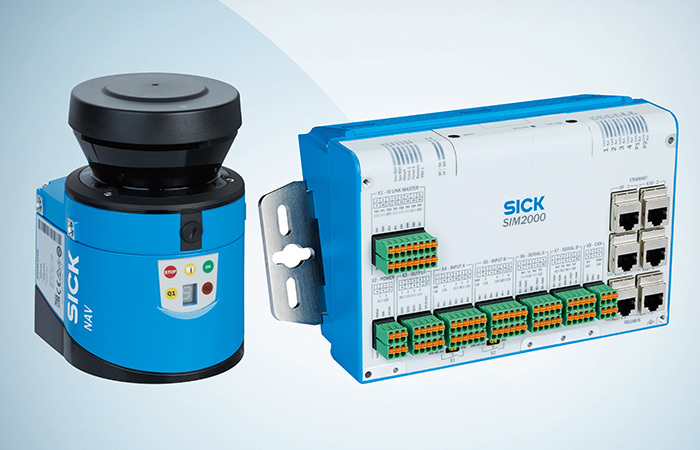 By supplying with factory configured and tested software function blocks, SICK enables the system to be integrated with ease and to fit seamlessly into the controllers of all standard industrial robots. 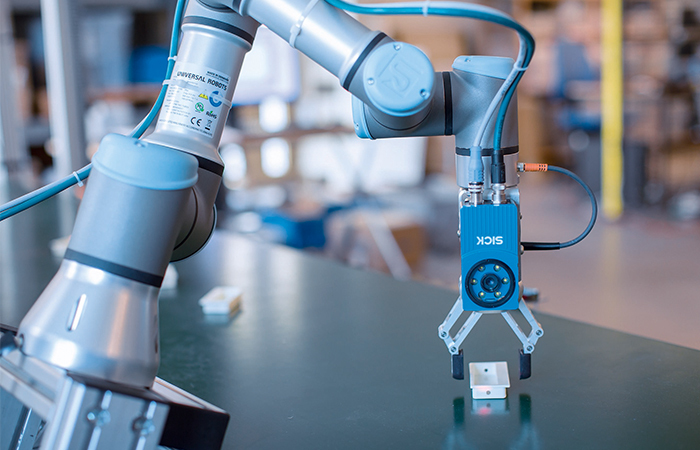 “The opportunity to redeploy robots around the factory demands an adaptable system. So, the Safe Robotic Area Protection system’s versatility is a standout feature that both adapts to new working situations and takes account of non-safe automation and safety-related functions being carried out simultaneously. The SICK Safe Robotics Area Protection Package comprises either a SICK microScan3 core with 5.5m radius fields for larger areas, or a S300 mini remote for 3m radius fields, with a SICK Flexi Soft modular controller. The Safe Robotics Area Protection package is available as a single bundle for integration with most existing industrial robot controllers. 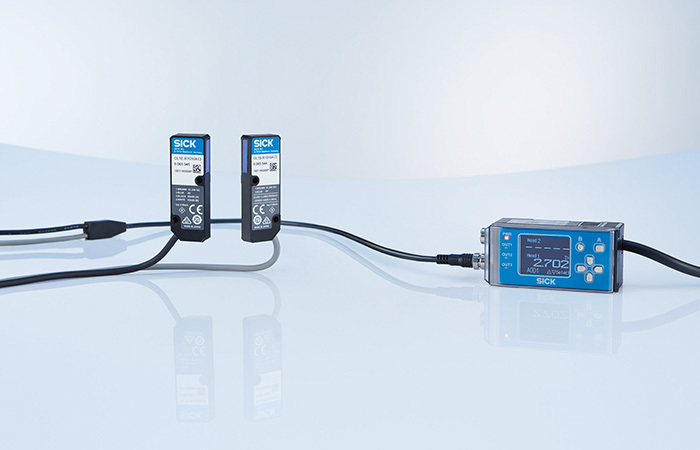 In addition, the Flexi Soft controller is expandable and programmable to allow the integration of additional devices. 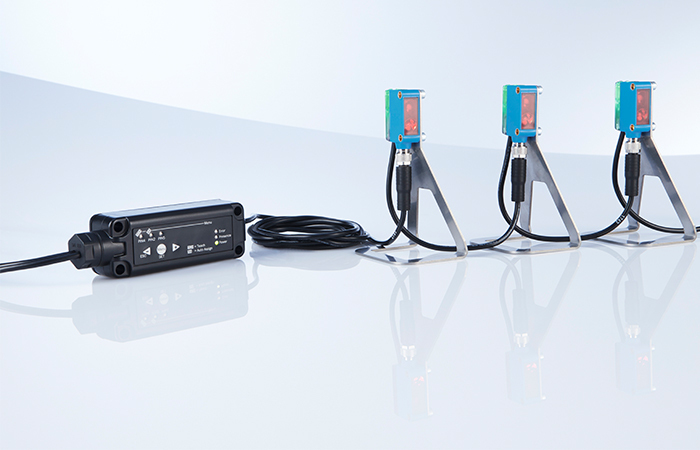 This could be further safety laser scanners for additional robot applications, or other safety devices such as safety light curtains, emergency stops or Interlocks for other safety applications. For more information on the SICK range of products, please contact Andrea Hornby on 01727 831121 or email andrea.hornby@sick.co.uk.